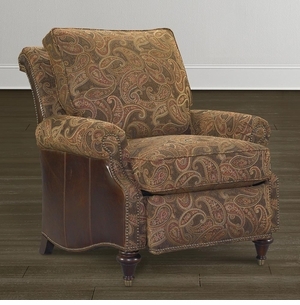 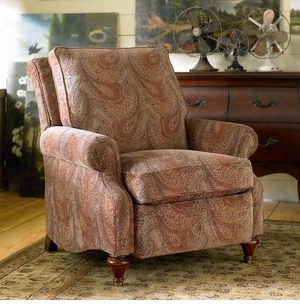 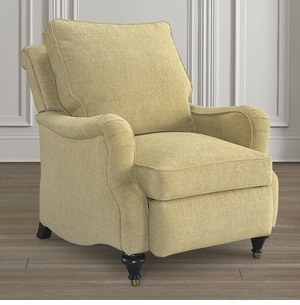 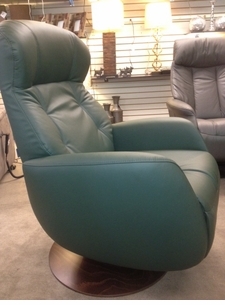 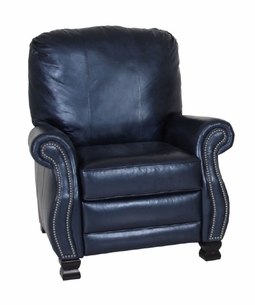 Size large swivel rocker recliner. 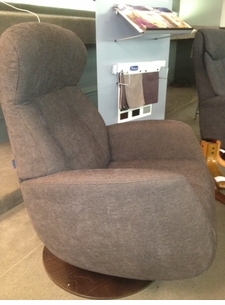 In stock as shown. 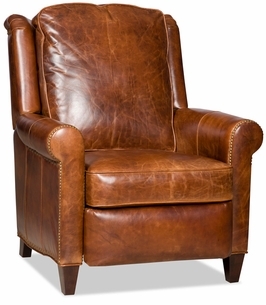 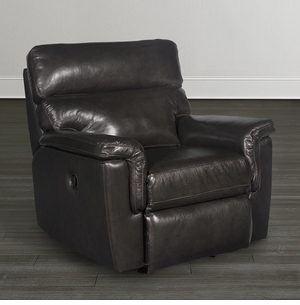 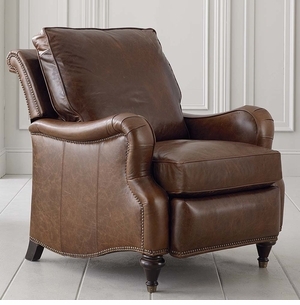 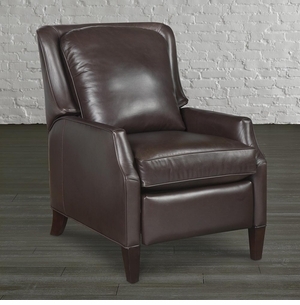 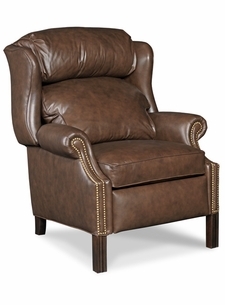 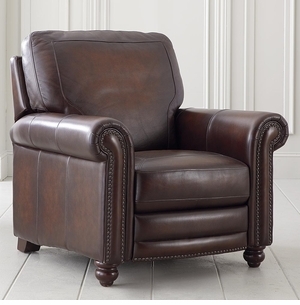 Small Power Swivel Recliner in Leather. 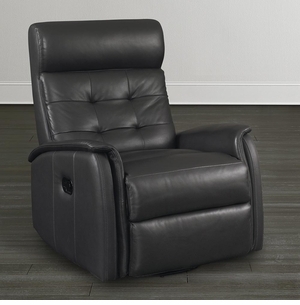 In stock as shown. 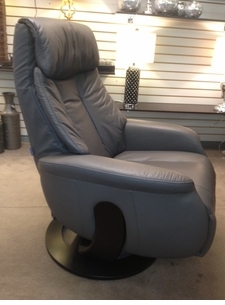 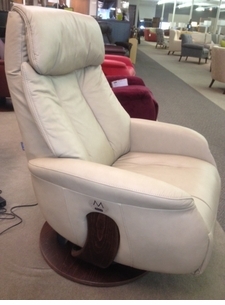 Swivel Rocker Recliner. 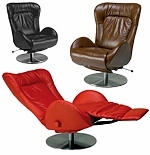 In stock as shown. 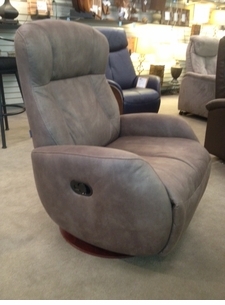 Randers Swivel Recliner. 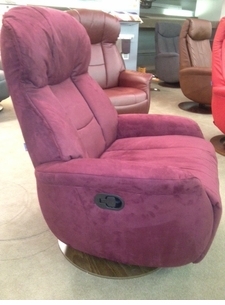 In stock as shown. 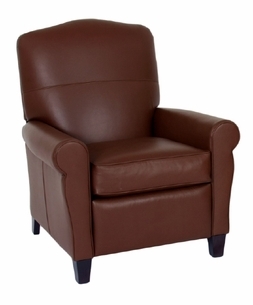 Slogan Medium Swivel Recliner with Comfort System. 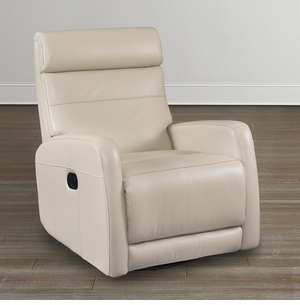 In Stock as shown.